Aviation technician Alfonso Salazar reports that on Saturday, June 2009 at 16:10 hours, the crew of a Fokker 110 reported "spherical traffic" which, according to eyewitnesses was a shining sphere, resembling burnished platinum and reflecting the sun's rays." This sighting was recorded over the southern area of Cerro de la Estrella (to the east of Mexico City). Weather conditions were clear, sunny and cloudless. 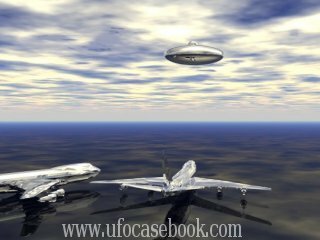 The crew calculated that the UFO was at an altitude of 8,000 meters.